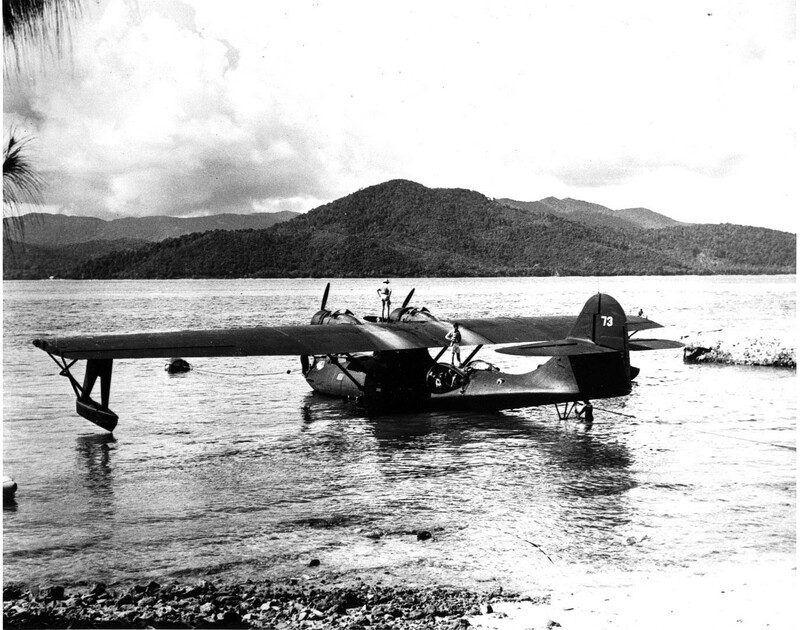 » A PBY-5 Catalina of Patrol Squadron 34, one of the “Black Cats” night patrol squadrons, at rest at Samarai Island, New Guinea, Jan-Feb 1944. Note the absence of any markings beyond the squadron patch on the bow and the side number on the tail. This photograph has been scaled down; full resolution photograph is available here (1,373 by 1,081 pixels).